SBK Features: -Smoker box. -Gives food wood-smoked flavor. -Stainless steel 18 gauge, commercial grade construction. Product Type: -Smoker box. Material: -Metal. Dimensions: Overall Height - Top to Bottom: -1.5 Inches. Overall Width - Side to Side: -4 Inches. Overall Depth - Front to Back: -16 Inches. 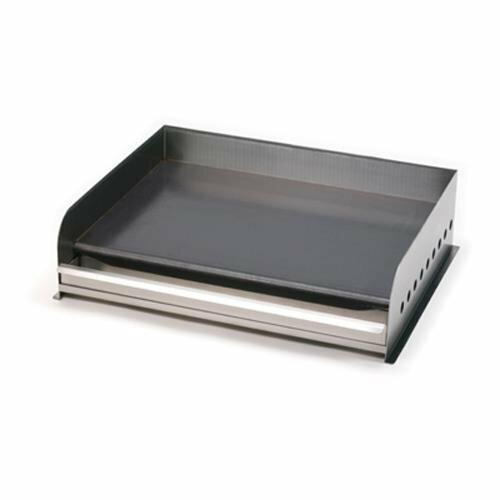 Removable Griddle- Professional Series Size: 23.5" x 30"
PGRID-30 Size: 23.5" x 30" Features: -Stainless steel splash guards. -Removable stainless steel grease tray. Product Type: -Griddles. Material: -Metal. Dimensions: Size 23.5" x 30" - Overall Height - Top to Bottom: -7.5 Inches. Size 23.5" x 30" - Overall Width - Side to Side: -30 Inches. Size 23.5" x 30" - Overall Depth - Front to Back: -23.5 Inches. Size 23.5" x 30" - Overall Product Weight: -75 Pounds. Size 23.5" x 36" - Overall Height - Top to Bottom: -7.5 Inches. Size 23.5" x 36" - Overall Width - Side to Side: -36 Inches. Size 23.5" x 36" - Overall Depth - Front to Back: -23.5 Inches. Size 23.5" x 48" - Overall Height - Top to Bottom: -7.5 Inches. Size 23.5" x 48" - Overall Width - Side to Side: -48 Inches. Size 23.5" x 48" - Overall Depth - Front to Back: -23.5 Inches. Size 23.5" x 48" - Overall Product Weight: -120 Pounds. 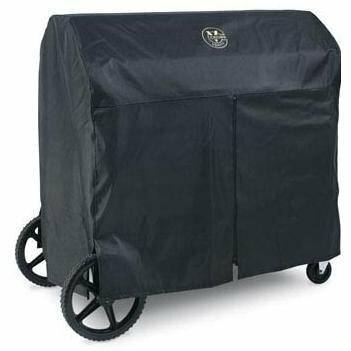 BC-36-BI Size: Fits 36" Built In Grill Features: -Keeps your char broiler clean.-Only fits grills with roll dome. Includes: -Includes size options to fit all MCB (Mobile outdoor char broilers) or BI (Built In Unit). 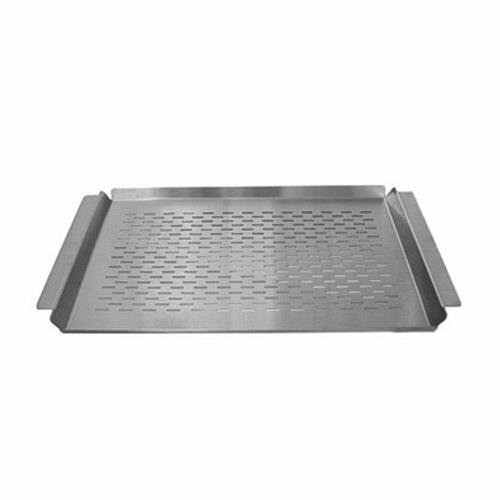 Removable Griddle- Professional Series Size: 23.5" x 48"
PGRID-48 Size: 23.5" x 48" Features: -Stainless steel splash guards. -Removable stainless steel grease tray. Product Type: -Griddles. Material: -Metal. Dimensions: Size 23.5" x 30" - Overall Height - Top to Bottom: -7.5 Inches. Size 23.5" x 30" - Overall Width - Side to Side: -30 Inches. Size 23.5" x 30" - Overall Depth - Front to Back: -23.5 Inches. Size 23.5" x 30" - Overall Product Weight: -75 Pounds. Size 23.5" x 36" - Overall Height - Top to Bottom: -7.5 Inches. Size 23.5" x 36" - Overall Width - Side to Side: -36 Inches. Size 23.5" x 36" - Overall Depth - Front to Back: -23.5 Inches. Size 23.5" x 48" - Overall Height - Top to Bottom: -7.5 Inches. Size 23.5" x 48" - Overall Width - Side to Side: -48 Inches. Size 23.5" x 48" - Overall Depth - Front to Back: -23.5 Inches. Size 23.5" x 48" - Overall Product Weight: -120 Pounds. 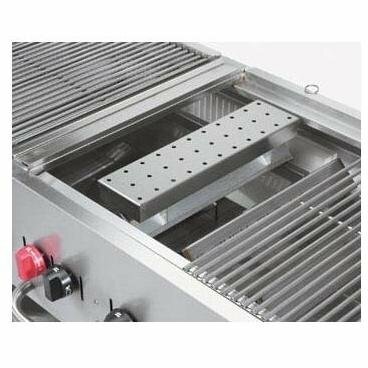 Removable Griddle- Professional Series Size: 23.5" x 36"
PGRID-36 Size: 23.5" x 36" Features: -Stainless steel splash guards. -Removable stainless steel grease tray. Product Type: -Griddles. Material: -Metal. Dimensions: Size 23.5" x 30" - Overall Height - Top to Bottom: -7.5 Inches. Size 23.5" x 30" - Overall Width - Side to Side: -30 Inches. Size 23.5" x 30" - Overall Depth - Front to Back: -23.5 Inches. Size 23.5" x 30" - Overall Product Weight: -75 Pounds. Size 23.5" x 36" - Overall Height - Top to Bottom: -7.5 Inches. Size 23.5" x 36" - Overall Width - Side to Side: -36 Inches. Size 23.5" x 36" - Overall Depth - Front to Back: -23.5 Inches. Size 23.5" x 48" - Overall Height - Top to Bottom: -7.5 Inches. Size 23.5" x 48" - Overall Width - Side to Side: -48 Inches. Size 23.5" x 48" - Overall Depth - Front to Back: -23.5 Inches. Size 23.5" x 48" - Overall Product Weight: -120 Pounds. Removable Griddle Plate Size: 20" x 21"
G2022 Size: 20" x 21" Features: -Griddle plate.-Great for pancakes, bacon, eggs, etc.-Handles on each end.-Cold rolled in steel 0.38'' thick.-Easy removable. Options: -Available in 12'' W x 12'' D and 12'' W x 21.38'' D sizes. 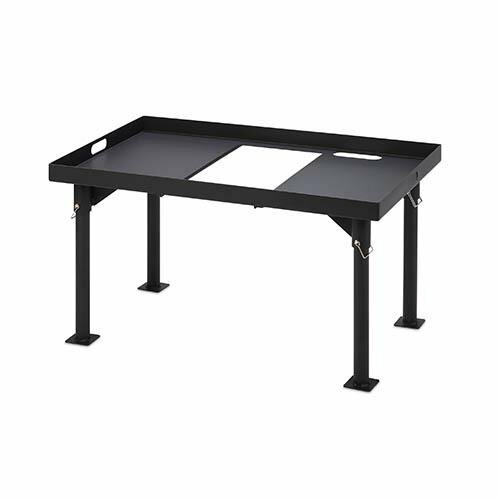 Compare prices on Crown Verity Smoker Griddles at ShopPlanetUp.com – use promo codes and coupons for best offers and deals. We work hard to get you amazing deals and collect all available offers online and represent it in one place for the customers. Now our visitors can leverage benefits of big brands and heavy discounts available for that day and for famous brands.